Pharmacy employers will now find it even easier to advertise and fill their locum shifts with the launch of our brand new app. First of its Kind Pharmacy Employer App After seeing great success with our locum app, which allowed locum pharmacists to pick and choose their shifts with ease, we here at Locate a Locum decided that it was only fair to give Pharmacy Employers on the other side of these shifts the same treatment. 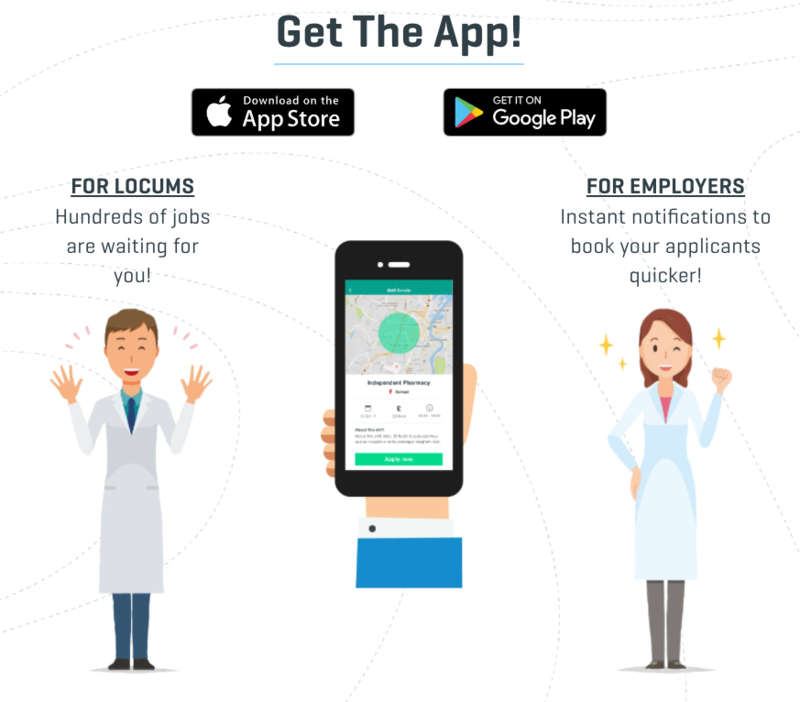 The new app, which is now available for download from both the Android and Apple App stores, allows those searching for locum pharmacists to post a job for a single or multiple branches to the 4000 registered locum pharmacists using Locate A Locum. They can then review applicants’ profiles to decide the right candidate, and check in on their other live, pending and booked shifts - all without ever leaving the app. Even when you aren’t actively using the app, you will receive push notifications to let you know when someone has applied for your shift, so that you can quickly and effortlessly fill your schedules. There currently are 1200 locum pharmacy shifts at 8000 pharmacies across the UK available on our app.